Your tweets reveal more than you think. Every time you tweet about your frustrations at a red light, the cold you just got over or a new pair of shoes you bought, you’re adding to the wealth of data on Twitter. And one group of researchers has tapped into this data to predict just how many people have lost their jobs. 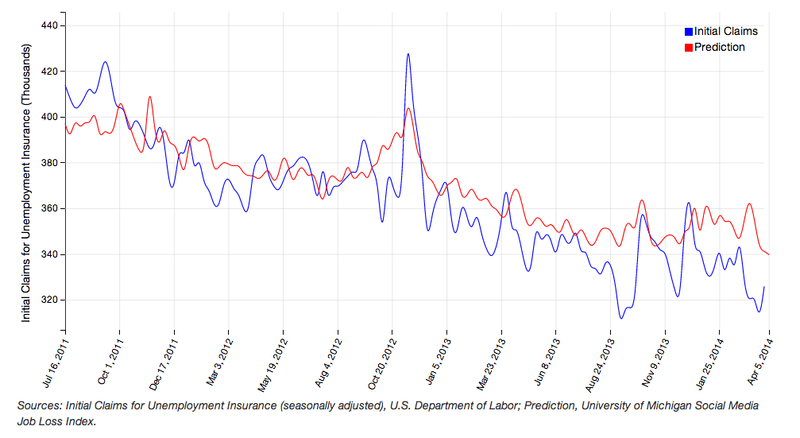 The Index plots official unemployment insurance claims numbers from the Department of Labor against a model that predicts unemployment by tracking tweets. In the graph above, the red line represents unemployment predictions based on tweets – and as you can see, it’s not too far off from the official blue line. 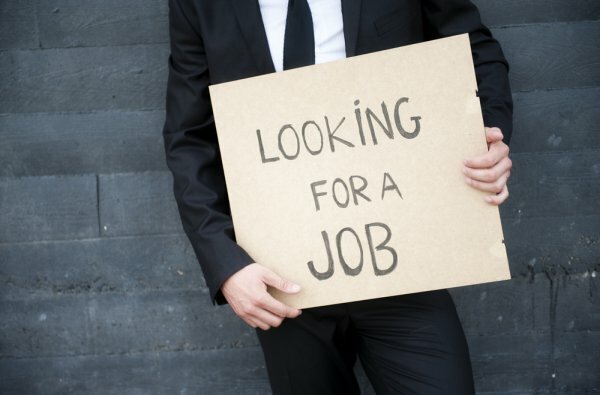 The researchers had to filter out tweets that were simply commentary on unemployment (as opposed to those tweeting about experiencing it), as well as slang, misspellings and other factors. The result is the above Index, which is updated weekly here.